Long Live the Libertad Act! 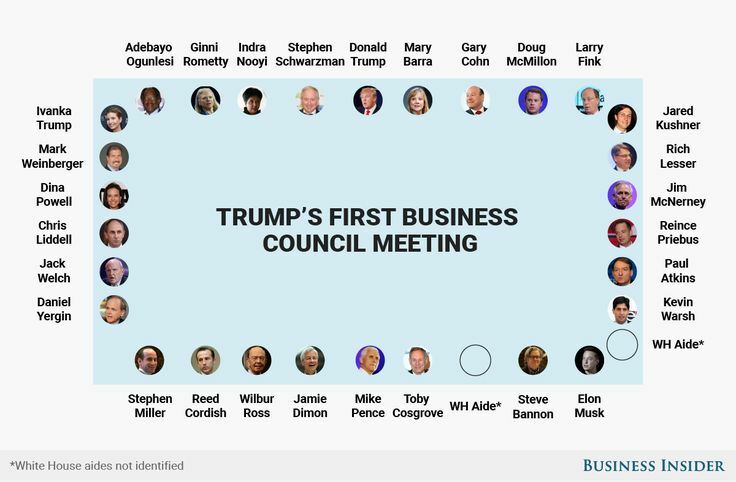 Taking aim at the Cuban Government, US President Donald Trump and his Board of Directors, led by Secretary of Treasury Steve Mnuchin and Secretary of State Mike Pompeo. 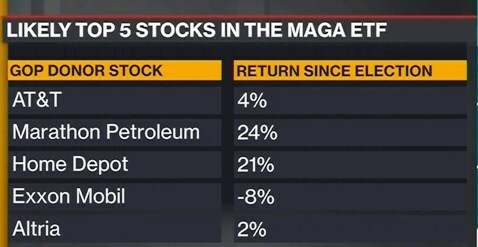 announced that US shareholders of companies that were seized and nationalized by Fidel Castro when the now-deceased Cuban ruler first took control of Cuba in 1959 can now sue the Cuban government for losses they sustained. 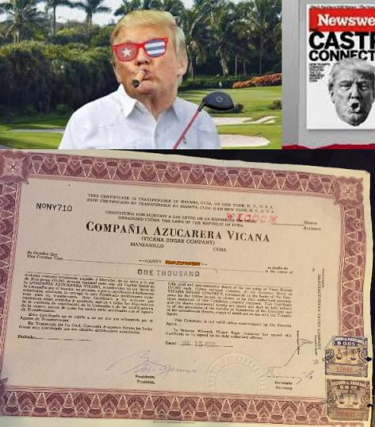 Of the several dozen US companies nationalized by Castro in 1959, shareholders of Vicana Sugar Co., also known as Compania Azucarera Vicana, lost the entirety of their investments and can now seek recourse. Secretary of State Mike Pompeo announced that the US will enforce a controversial provision of the decades-old trade embargo on Cuba that will allow US citizens to file lawsuits in US federal court against businesses that operate on property seized by the Cuban government during the revolution — the first administration to do so since the law’s creation in 1996. 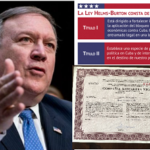 Pompeo said Title III of the Helms-Burton Act, also known as the Libertad Act, would be implemented in full effective May 2. 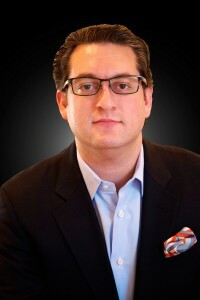 According to at least two White House sources speaking off the record, Treasury Secretary Mnuchin was influential in guiding President Trump to implement this new tactic after Mnuchin’s wife had purportedly acquired a large cache of stock certificates from an estate that owned the shares and were issued by Vicana Sugar Company months before Fidel Castro nationalized that company in November 1959. 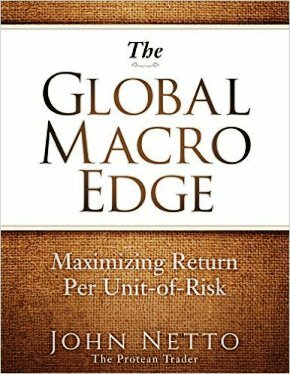 The extent of Mnuchin’s holdings is not known, but include many 1000 share certificates with an original ‘par value’ of $3.00 per share. Formed in 1935, shares in Vicana Sugar Co. were listed on the New York Stock Exchange and traded as high as $6 per share before Castro’s seizure forced the NYSE to de-list the company’s shares. In January 15, 1959, a large block of stock was purchased by a private investor, whose estate is rumored to have since sold most of those share certificates to a trust controlled by Mnunchin. 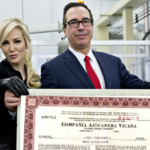 As reported here previously, Mnuchin had also purportedly acquired a cache Estonia Government bonds issued in the 1940’s that became worthless after Russia’s annexation of Estonia. 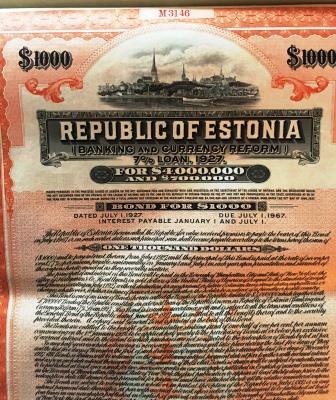 Those Estonia bond certificates soared in value on eBay last year after rumors of US government efforts to coerce Russia to make good on that defaulted debt and outstanding interest owed to bond holders. 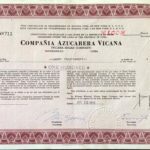 A small number of Vicana Sugar Co share certificates, in both 100 share and 1000 share denominations are listed on eBay and offered at upwards of $700 for each certificate. As evidenced by stamp on share certificate in amount of 1000 shares and par value $3.00 each share (see photo). In November 1959, the company, along with its land assets, was nationalized by the Cuban Government and shareholders suffered a complete loss, as did investors holding shares in other Cuba-based US companies whose assets were nationalized by the new Cuban regime. In the ensuing years, multiple legal claims were brought in US courts—and affirmed in favor of plaintiffs, yet those court judgments provided for no recourse against the Cuban Government. 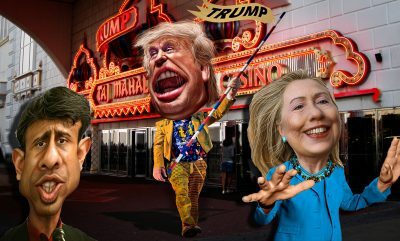 As reported in April 2019, US President Donald Trump approved the lifting of limits on Americans ability to sue over property confiscated by the Fidel Castro government—opening the door to a prospective new round of legal action that can be brought against Cuban government. CubaHelms-Burton ActLibertad ActmnuchinPompeotrumpVicana Sugar Co.